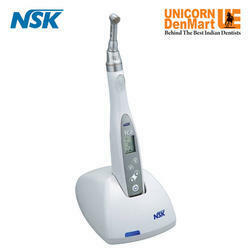 Providing you the best range of nsk endodontic motor - endomate dt, nsk endomotor - endomate tc2, nsk endomotor - endomate at, nsk ipex ii - digital apex locator and dpex iii apex locator - gold version with effective & timely delivery. 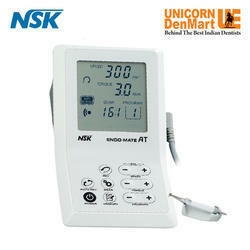 We are offering NSK Endomate DT to our clients. 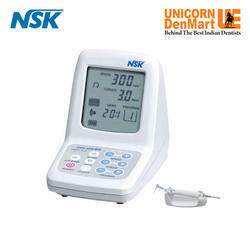 We are offering NSK Endomate AT to our clients. The DPEX III Apex Locator is equipped with a clear bright LCD which gives you a crystal clear projection with different colours to clearly show the trajectory of the file. With the DPEX III you get absolute precision leading to high RCT success rates. 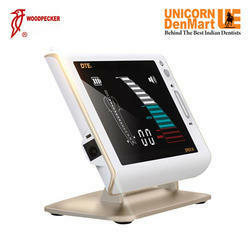 And what’s more, with Unicorn Denmart after sales service, you have complete peace of mind.